Every two years, Cologne, Germany hosts the world’s greatest photography trade show. This is the year, and these are my notes on the most interesting of cameras that are small, lightweight, and extremely capable. Over time, I will write about some of these products in more detail. Most are announced but not available in stores. One of the coolest new cameras: Sony’s Cybershot DSC-RX1. The sensor is “full frame”–that is, the size of a 35mm film negative (about an inch high). At just under $3,000, it’s beyond the budget barrier for most of us. But don’t lose hope: 2012’s state-0f-the-art may well be 2014’s under-$1,000 camera. We’re seeing more and more full frame sensors, and prices are coming down. So why is this camera worth so much money? Lenses are not interchangeable: your investment buys a single 35mm lens (f/2) attached to a 24 megapixel camera. It’s a small camera with superior build quality, and, if it performs as promised, quite good in low light situations. For more, see Digital Photography Review’s preview. For several years, Sony has been producing cameras in the NEX range: small APS-C sensors in thin, sleek bodies with outsized lenses. The NEX-6 is priced at $999, offers 16 megapixels, and offers some features unavailable in Sony’s higher priced NEX-7. 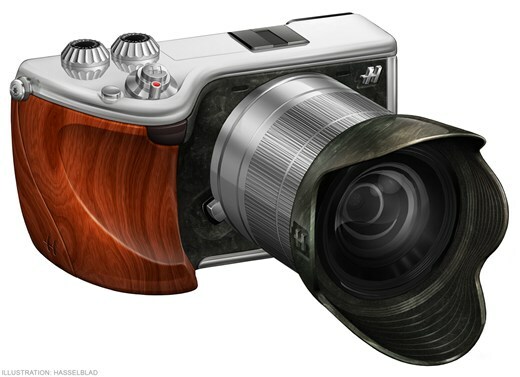 Two years ago, at Photokina 2010, Fujifilm introduced a state-of-the-art, retro-in-look-and-feel camera fixed lens camera called the X100. The lens was a wide angle, the color rendition was extraordinary, and it offered a built-in hybrid viewfinder (easy switching between optical and electronic viewfinder). A year or so later, Fujifilm built on the franchise with an interchangeable lens system for serious amateurs and professionals, the XPro1. Now comes the XE-1, similar to the XPro1 but smaller, lighter, and an electronic (but not optical) viewfinder. It’s a 16 megapixel camera that costs about $1,400. 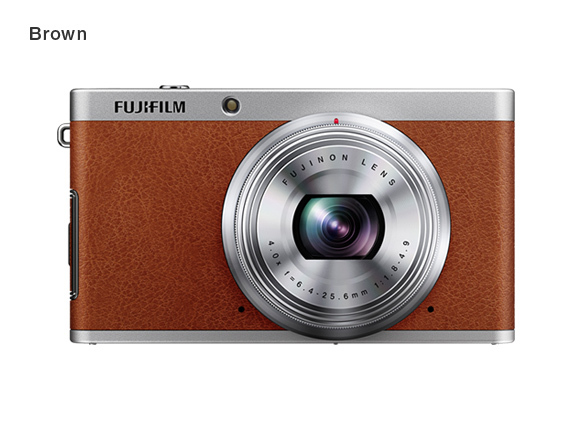 The Fujifilm XF1 in brown. Also available in black or red. Just about everyone will want the new, simple, high quality Fuji XF1 with its 4x zoom and 12 megapixels. Why? It’s small, fast, and looks great. Small: 4.2 inches wide, 1.2 inches thick, 8 ounces. Fast: largest aperture is f/1.8, so you can shoot in reasonably low light without a flash. Looks great: yes, it’s a bit of a fashion accessory (see the website), but it’s also a straightforward camera for a serious photographer. It’s a 12 megapixel model, and it costs about $500. For those with greater ambition, some tolerance for a slightly heavier camera, and more available cash, Fujifilm’s X-E1 is an interchangeable lens camera with a lower price than Fujifilm’s much-coveted X-Pro1. This is, arguably, mirror-less digital photography at its 2012 peak. The X-Pro1 includes an optical/digital hybrid viewfinder; the XE-1 offers only the electronic version. The new Leica M-E digital camera. 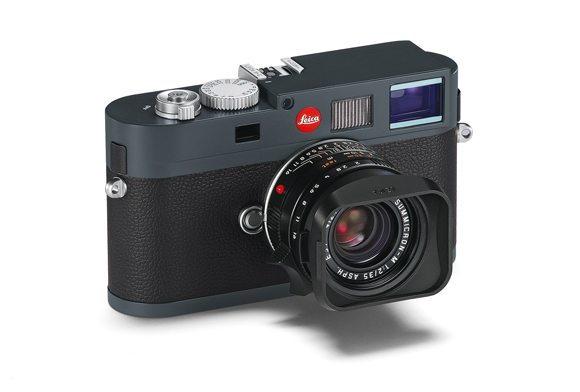 Leica’s new M-E provides a Leica-universe starter camera priced at 3,900 Euros (about $5,000). It’s a full frame 16 megapixel camera. Even more pricey is Leica’s new full frame digital M camera with 24 MP and an available external viewfinder. For more about Leica’s new M camera, and their current digital camera philosophy, read this interview with Leica product manager Jesko von Oeynhausen. Over at Canon, I found two new, intriguing models. The EOS-M is sleek and small MORE. The latest in an impressive line of self-contained (no interchangeable lenses) models is the G15, now with a faster F1.8-2.8 les. It’s less bulky than the current G12, but dispenses with the handy pull out / pull up / pull down “articulated” rear screen. Nikon has added orange colored cameras to its Nikon 1 line. 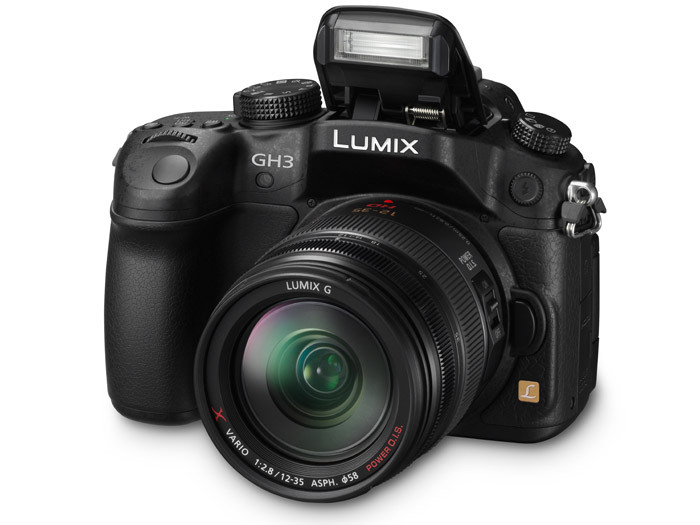 Panasonic’s GH3 was recently announced. At Panasonic, the GH3 is the big news–a full-featured DSLR style camera, and although its mirror-less design suggests smaller size, it’s about the size of an entry-level DSLR. The GH3 is a more versatile multimedia performer than most cameras in its class. It shoots in several video formats, MP4, MOV, AVCHD or AVCHD Progressive. WiFi connectivity allows the camera to be operated from a computer. No specific pricing yet, but the camera will probably cost between $1,500 and $2,000. 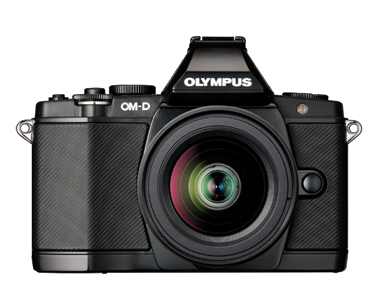 The OM-D was released by Olympus earlier this year. Olympus is again getting things right. For serious photographers, there’s the new-ish OM-D and for smart amateurs. This smallish camera offers an ideal combination of reasonable price, very good color rendition, a built-in viewfinder, lessons learned from several excellent PEN model cameras, and the promise of a new line of professional cameras that can be carried anywhere without worry about weight or size. What’s more, the video quality is quite good, and the camera handles beautifully. This is camera that you ought to consider against just about any of the others in this article. And if the OM-D is more camera than you need, Olympus offers several good options in the PEN line with interchangeable lenses and a nice range of accessories. New at Photokina 2012, and soon to be in stores, there’s a revised version of two lower priced PEN models (which use the same lenses as the more sophisticated OM-D): PEN Mini (E-PM2) and PEN Lite (E-PL5). Samsung has been making serious inroads. The NX210 replaces the NX200, offering both style and ergonomic improvements and 20 megapixel resolution, and some useful new features, including wifi connectivity for image transfers to your computer. Samsung is a relatively new name in the photo industry, so it’s easy to overlook the huge advances these guys have made in a systems approach to photography–there are lots of lenses and accessories available for the growing NX line, fashionable cameras in white, very good ergonomics, interesting features, lots more. Hasselblad ‘s new Lunar is a luxury camera that resembles one of Sony’s NEX models, and, in fact, uses the same A-mount lenses that you’d use on the NEX cameras. This is a very high-tech 24 megapixel camera with a very fast processor and a blingy exterior (there are a variety of handgrips made from exotic woods, etc.). It costs 5,000 euros (about $6,500)–a price that may be difficult to justify in the era of cameras that remain state-of-the-art for just a year or two. For more about Hasselblad’s approach, see this article in the British Journal of Photography. Well, that’s quick overview. If you’re looking for a more extensive roundup, you can visit the largest booths (stands, in Europe), virtually, by exploring the Digital Photography Review section on Photokina 2012. After many productive (35mm film) years with a Canon A-1, I decided, just before the digital deluge, to invest a really good film camera. The year was 2000. I kept the Leica catalog, and found my written notes inside the back cover. I was considering the Leica M6–one of the finest 35mm cameras every made. The cost of the body was about $2,000. Each of the three lenses cost $1,000-2,000. Total package price: about $7,000. (I ended up spending a lot less money for a wonderful used Hasselblad 501CM with two lenses). At the time, I had the feeling that my investment would stand the test of time. A decade later, film photography is retro fun, but digital rules the day. Now, I wonder whether a $2,ooo camera will stand the test of time. And I’m less secure now than I was in 2000. And I still spend far too much time thinking about cameras, and far too little time actually taking pictures.